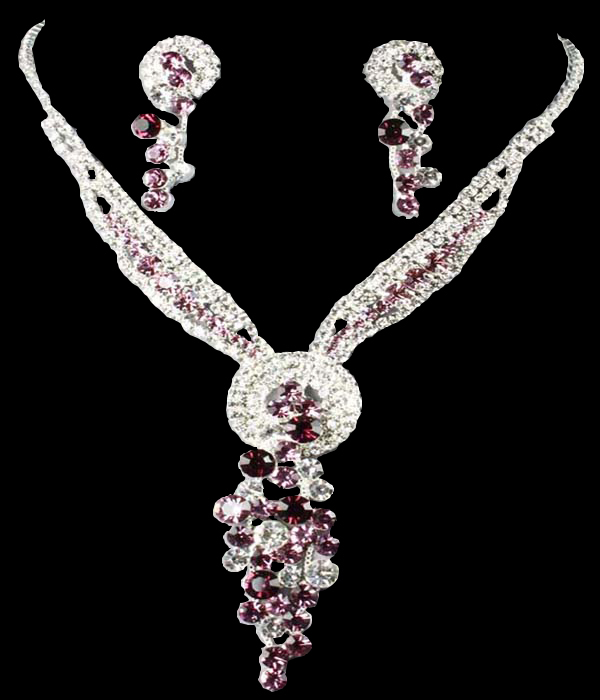 This necklace features elegant V-shaped neckline with a round brooch-style rhinestone detail and a cluster of grape purple and clear crystals in the center. The earrings have convenient fastening. Metal casting. We hope you enjoy shopping for online jewellery here with us today.